Pop the bubbly you’ve found your beauty team! We set out to design breathtaking and timeless bridal styles. WE CREATE CUSTOM & STYLISH LOOKS FOR EVERY BRIDE, WEDDINGS HAVE BEEN OUR SPECIALTY SINCE 2007. Beautymark Agency is Austin’s most trusted and tenured beauty wedding vendor. Ana Bazan, a Professional Makeup Artist with over 18 years of experience founded Beautymark Agency in 2007. 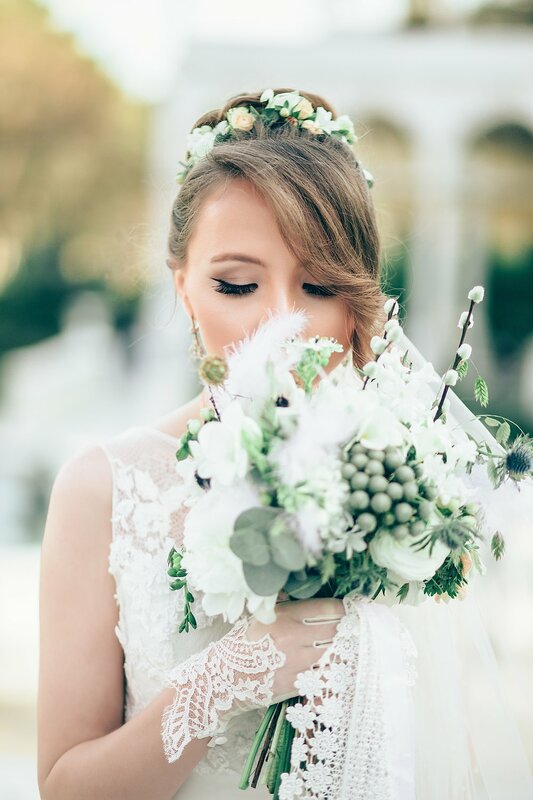 It was only after Ana went through the wedding process herself did she realize that there was a need for an on-location beauty service that really catered to brides. 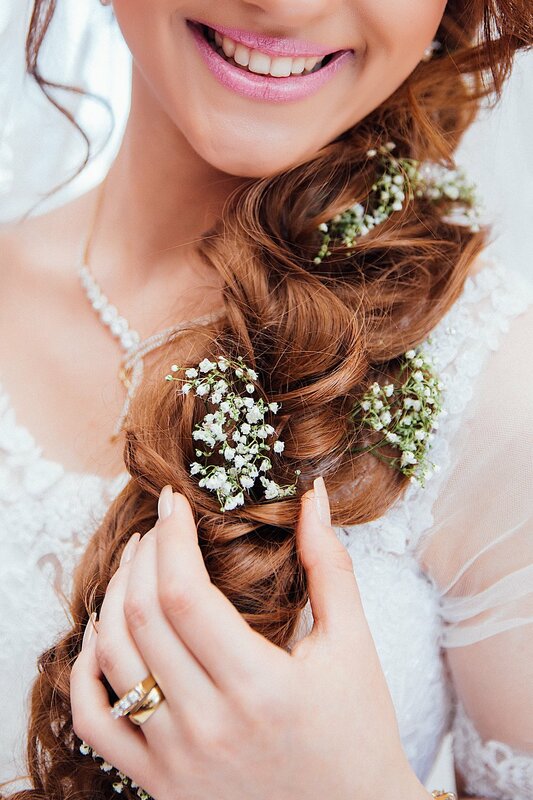 Ana set out to build the most talented Bridal hair and Bridal makeup team in Austin. Our beauty team are experts in Airbrush Makeup, skillful with all skin tones, and creative hair geniuses. Most importantly, our staff genuinely enjoys being a part of a Bride’s day. We understand the importance of your wedding and hold that in high regard, always. Yep, we offer destination bridal services. We offer destination bridal hair and makeup services for those wanting to learn how to achieve a gorgeous wedding day style on their own. Of course, you can hire us too…we will travel! Hiring a Professional Makeup Artist or Hairstylist for your wedding day is a wise investment for several reasons. A Pro knows how to create long wearing and timeless looks that will not only look beautiful in person but that will also look great in photography and video. We pay special attention to logistics, making sure we get the bride ready to go down the aisle on time. Our products are of the highest quality ensuring the best for our clients skin and hair. THE KIND OF MEETING YOU WILL LOOK FORWARD TO! VISIT WITH US AND SHARE YOUR VISION FOR THE WEDDING. WE WILL INCORPORATE ALL OF YOUR INSPIRATION TO DESIGN YOU A BRIDAL STYLE THAT’S PERFECTLY YOU. What an exciting time in your life! Let us collaborate together to design a series of looks for all your bridal events. Starting with your engagement shoot, bachelorette party, bridal shower and of course the main event! A BRIDE’S GUIDE ON HOW TO BEST PREPARE FOR THE WEDDING DAY. WE BREAK DOWN ON HOW TO BEST PREPARE YOUR HAIR, ACHIEVE GREAT SKIN FOR THE WEDDING DAY, AND WHAT YOUR WEDDING PARTY NEEDS TO KNOW. As beauty wedding vendors, we can tell you that the process of getting ready is fun and exciting! It’s also the perfect opportunity for you to spend time with your bridesmaids and family right before walking down the aisle. Let us pamper everyone in your party, you will have the most stunning wedding party by your side. Everyone will look and feel amazing and your wedding pictures will be perfection. Best of all, you can relax and reminisce with your besties knowing that all is taken care of. Our work in review by real brides, check out what brides are saying about us and some of the awards we have earned through out the years. Our booking process is easy. Fill out our online booking form to check on availability and receive your quote. Your quote will include a schedule, deposit amount, and grand total. Your date is reserved with a deposit and signed contract. That’s it, one more thing you can check off of your wedding to do list.